Celsius P-V 25 Design boiler - Celsius a takarékos energia - fűtés rendszerek akár 5 év garanciával. Indoor boiler is able to connected in heating system. Built-in with heating system units. This boiler is suitable for family houses, small apartments with pump heating. 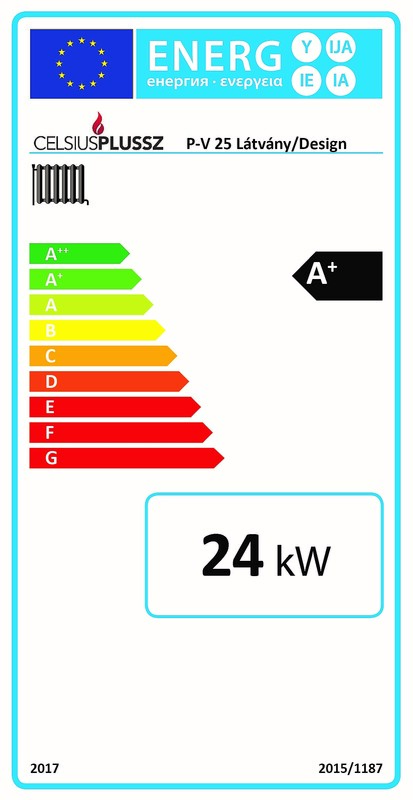 The P-V25 is the designed to be installed in the house, it does not require a separate boiler room. The classic design of the P-V 25 boiler makes it a perfect choice to install in living space. The middle door is made of heat resistant glass therefore the sight of flag fire is similar to the fire in an open fireplace, however this boiler can heat up the whole flat or house. The specialty of this boiler is that all the units necessary for the heating system are integrated in its back. It's able to connect to any type of heating systems (radiator, floor heating, wall heating, heating combined with solar panel, heating combined with gas boiler). High efficiency 78-82 % (under 20% related moisture content wood). It could connect to closed and open systems. The firebox is made from 5 mm thick heat-resistant steel. The design boiler has big firebox that makes it more comfortable to use. It's equipped with security fittings. 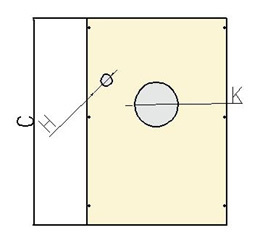 Maximum 2 bar operating pressure (2 bar safety valve equipped). 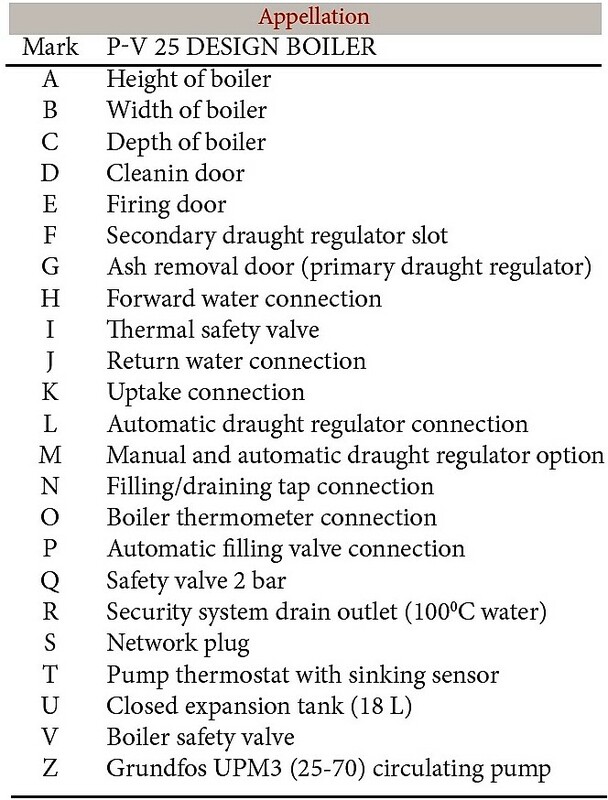 Hot domestic water supply is solvable depending on heating system formation. 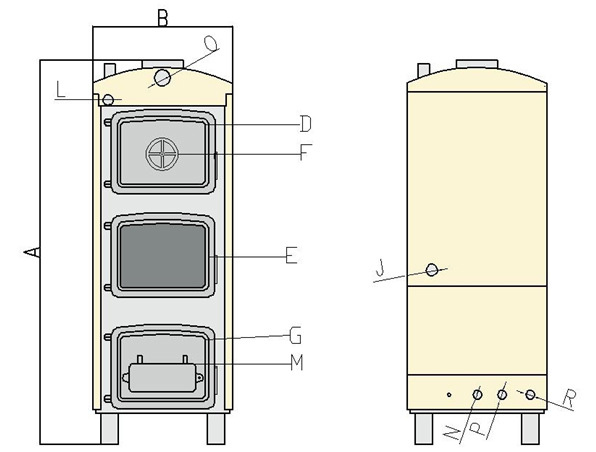 Buffer tank use could make the heating system more comfortable, adjustable (controlling by room thermostat) and decrease the daily fuel consumption.